Doramectin Injection is a brand new production of macrolide antiparasitic drugs. In comparison with other commercially available ivermectin goods, it's a broader antiparasitic selection and far better impact and is successful in preventing parasitic reinfection. It takes a very long time to be the very best anti-parasitic veterinary drug in the world with the very best development possible. 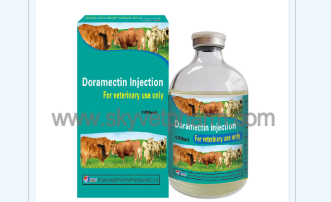 We are Doramectin Injection Manufacturer, please contact us if you need--http://www.skyvetpharm.com.